A framed version of this inspirational poem is available here. 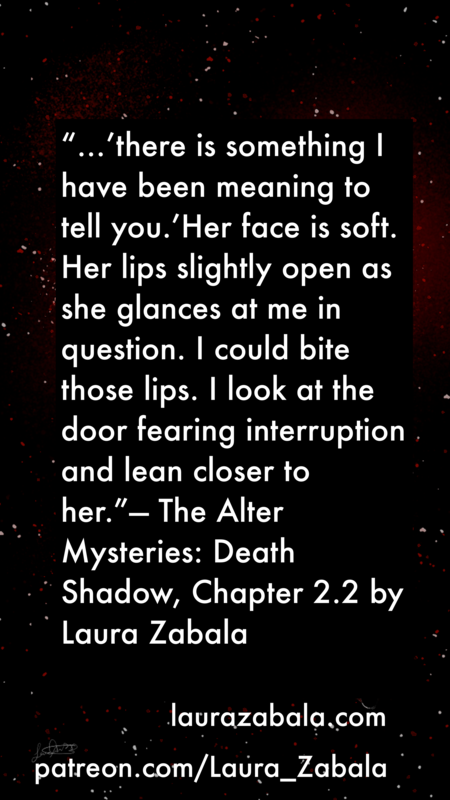 The release of The Alter Mysteries: Death Shadow Chapter 2.4, is now up free. The newest posts of the flash fiction series The Alter Mysteries can be found on my patreon. Posts go free Sunday. My patreon allows paying patrons early access to my posts, exclusive access to content like a preview of my book in progress, The Dark Prince, and concept drawings for future books on my list. If you would like to tip me for my work head over to my patron sign-up page. There is also a shop on my site that sells accessories and clothing, like iPhone cases, mugs and shirts. For more information on the coupon and sale available for Pride Month and Father’s Day check out this post. Feel free to leave comments and questions below. What do you think of the most recent post in The Alter Mysteries? As always, thank you for following my blog! Sorry, it took me so long to post my usual reminder but chapter 2.2 of The Alter Mysteries has been up free since this past Sunday. I will be posting the next scene on early access sooner, today instead of tomorrow. Chapter 2.3 will be free to all on Sunday. I also have my first podcast available for free if you want to take a listen. My next project after I work on getting my word count up for The Dark Prince is to record the scenes I have already put out so you can listen to my flash fiction in a podcast. If you like the work that I do and my series, please consider supporting me on my Patreon, or buying goods from my shop. For the cost of the cup of coffee per month, you can make a difference. I work hard on all of this. Paying me for my work is a great way to say thank you. Spreading the word about my stories and shop can help to bring more support as well. Thank you for following my work! 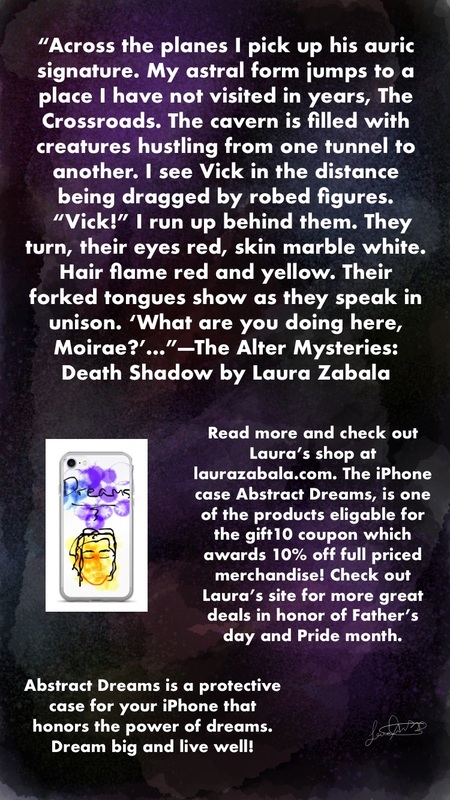 Follow Laura’s poetry and flash fiction at patreon.com/Laura_Zabala. You can read her work for free, or support her for the cost of a cup of coffee. Press on the image to check out her Patreon. Writing is a lifestyle, in keeping with that premise, this is the first post of many. You can expect to find periodic updates on my stories and some personal opinion posts. If you are interested in Paranormal Adventure stories, my book in progress is listed here. 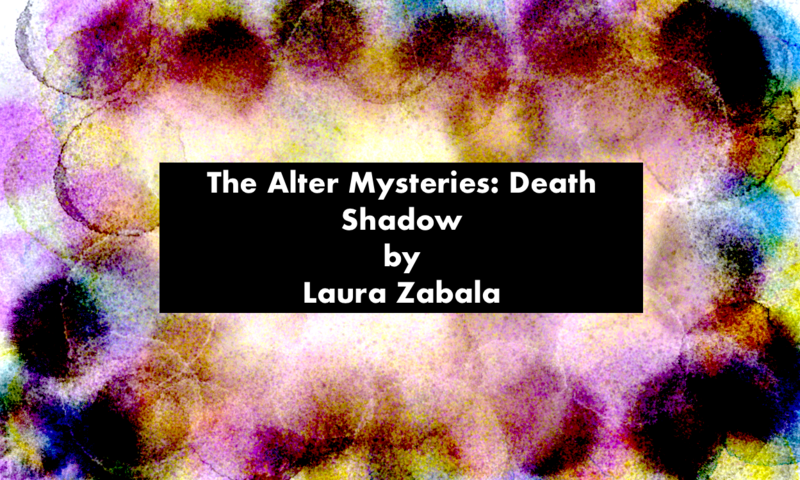 There is also a free weekly fiction story, The Alter Mysteries: Death Shadow, that I post on my Patreon. Most importantly this is a space to engage in our passion for Supernatural and Science Fiction. Look for more posts surrounding that topic for weeks to come. Thank you for being a part of making my dreams a reality!